The international arm of Planned Parenthood drastically cut back its programs this year in Africa after President Donald Trump prohibited international funding to pro-abortion groups. 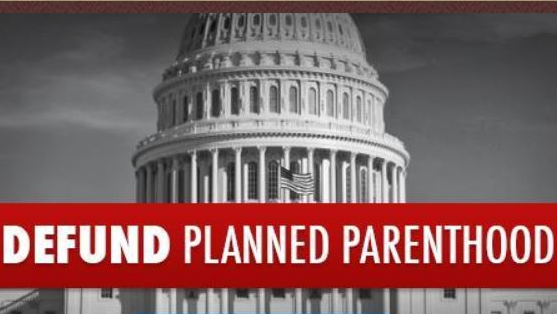 The International Planned Parenthood Federation (IPPF) was one of just four groups that refused to comply with the Mexico City Policy, which prohibits taxpayer funding to international groups that promote or provide abortions. More than 700 others still provide important international aid without promoting the killing of unborn babies. The pro-life policy has benefited mothers and babies across the world. Reuters reports IPPF shut down 22 programs in sub-Saharan Africa as a result of the policy, and several more are slated to close this summer. Caroline Kwamboka, senior advocacy manager for Planned Parenthood in Africa, told Reuters that they hope major donors will make up the lost funding. The report lists the Hewlett Foundation, the Waterloo Foundation, the United Nation Population Fund (UNFPA) and the Bill and Melinda Gates Foundation among the abortion chain’s wealthiest donors. Marie Stopes International, a British abortion chain, also shut down several of its programs in Africa as a result of the funding cuts. The two pro-abortion groups received millions of American tax dollars under President Barack Obama’s administration to push abortions in Africa. Most African countries prohibit the killing of unborn babies in abortions. The International Planned Parenthood Federation performed more than 1 million abortions in 2016, an increase of 13.5 percent over 2015, and received more than $27 million in U.S. government grants in 2015-2016. Under the Obama administration, Marie Stopes International also received U.S. taxpayer funding. Like Planned Parenthood in America, Marie Stopes has a shoddy reputation, with one recent report showing about 400 botched abortions in a two-month period. Abortion activists have complained that the Trump administration policy has been devastating for women in Africa, but the only real damage has been to pro-abortion groups. Both IPPF and Marie Stopes could continue to receive USAID to provide contraception and life-saving health care; all they must do is agree to stop aborting unborn babies. Of the more than 700 groups that receive USAID, only four refused to comply, according to a federal government report. That is a compliance rate of 99.5 percent. The Mexico City Policy was in place during the entirety of the Bush administration, but Obama rescinded it during his first week in office. Named for a 1984 population conference where President Ronald Reagan initially announced it, the policy made it so family planning funds could only go to groups that would agree to not do abortions or lobby foreign nations to overturn their pro-life laws. During his first week in office, Trump reinstated and expanded the Mexico City Policy, which prohibits taxpayer funding to groups that promote or provide abortions overseas.